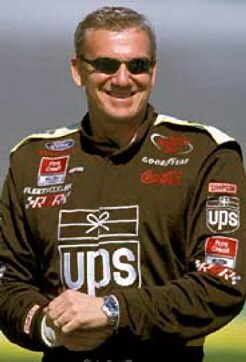 Dale Jarrett finished fifth in the Winston Cup standings in 2001, the seventh straight season in which he's been in the top-five. Four inopportune accidents were the only thing that prevented Jarrett from marching further up the standings as he fell another spot after winning the 1999 Winston Cup championship. Jarrett won four times and had four Bud Poles and added 12 top-five and 19 top-10 finishes. He was tied atop the Winston Cup standings with eventual champion Jeff Gordon for two consecutive weeks in July, but an a pair of accidents at Pocono in July started a four-race stretch that knocked him out of the championship chase when he finished 41st, 12th, 31st and 37th. Qualifying continued to be a strong suit for Jarrett, who lined up in the top-25 29 times in 36 starts. For the second straight season, Jarrett discovered, as he had in his Winston Cup title defense that it's a fine line between waltzing to a championship and simply struggling to keep up. The Conover, N.C., native for the second straight year in his 18-year career was hurt by sub-par finishes, with six of 30th or worse. Jarrett began racing in 1977 in the Limited Sportsman Division at Hickory Motor Speedway, where his father, two-time NASCAR Grand National champion Ned Jarrett, was once the track promoter. He began his Winston Cup career in 1984 while still competing on the Busch Series, in which he began competing in 1982, the series' first year. His first Winston Cup win came in his 129th start at the 1991 Champion 400 at Michigan International Speedway, in a Wood Brothers car following a fender-banging duel to the finish line with the late Davey Allison. The win that truly launched the current phase of his career came in 1993 with Joe Gibbs Racing, in the Daytona 500 -- his first of three scores in that race. That season he would finish fourth overall in series points. 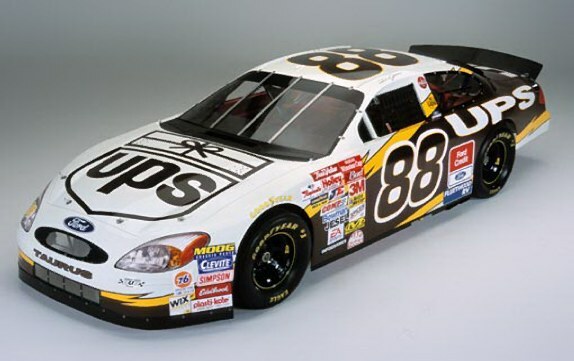 He stumbled a bit the following two years, finishing out of the top-10 in both 1994 and 1995, but since 1996 only Jarrett has finished in the top-five in points every year, establishing himself as one of the true elite in the sport, with 28 career victories. Jarrett earned 2000 "True Value Man of the Year" honors for his charity work, including his position as national spokesperson, with wife Kelley, for the Susan G. Komen Breast Cancer Foundation. It was the second time he has been cited with the award.